As you can see I am still trying to keep my meat portions small. The real star of the show was the leftover farro which I mixed with lentils. Mmmm, so good! 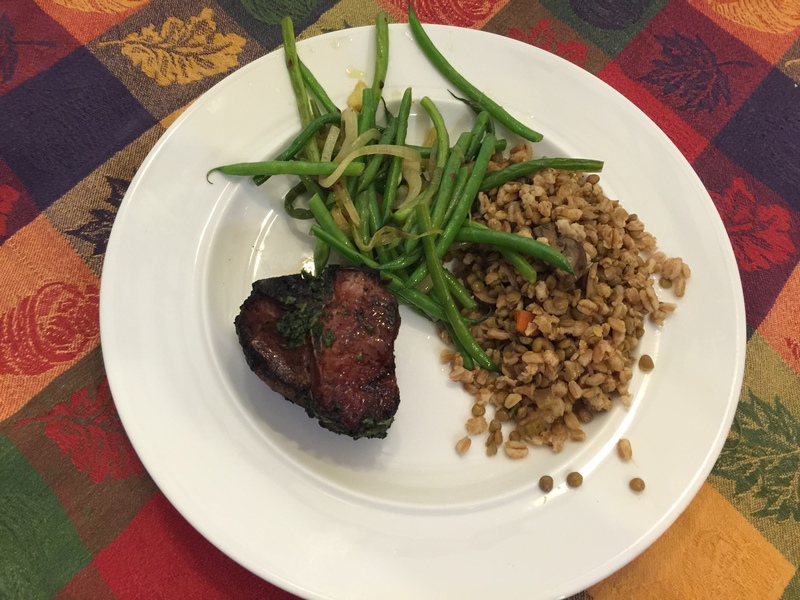 This entry was posted in Uncategorized and tagged farro, green beans, Lamb. Bookmark the permalink.